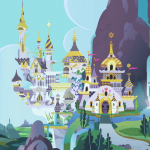 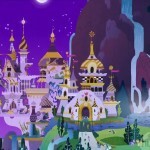 Well, off to Canterlot we go! 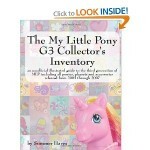 Just a few good reference books I’ve come across over the past couple of years. 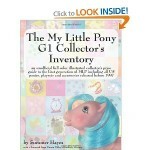 I’m glad Summer Hayes and Debra L. Birge took an interest on this subject. 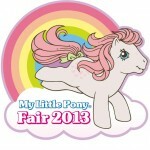 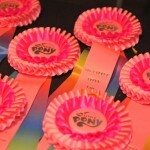 *Photocredit: MyLittlePonyCon.com, My Little Pony Fair Wiki, and Various Sources. 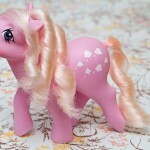 Her spa package included a shampooing, deep conditioning, luxury bath, and hairstyling, with no symbol touch-ups needed. 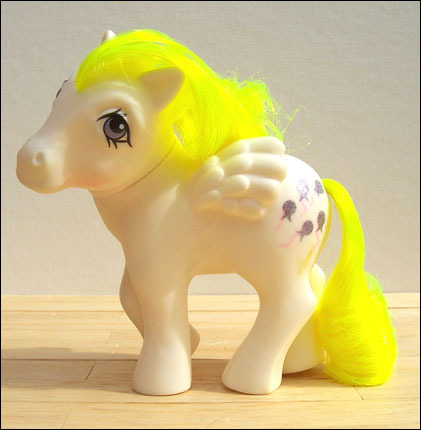 *Another version of Starflower was sold outside the U.S. with a painted (non-glittery) symbol. 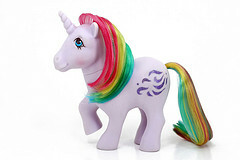 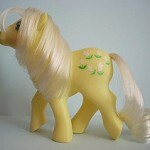 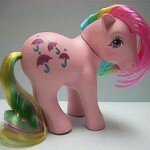 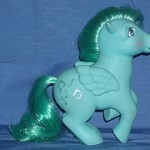 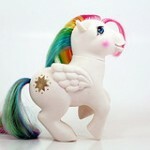 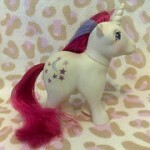 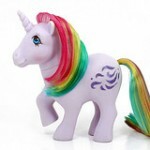 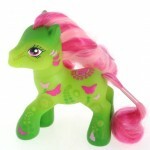 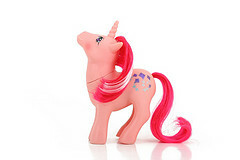 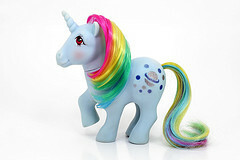 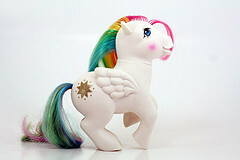 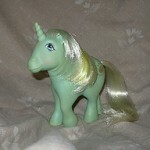 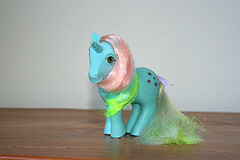 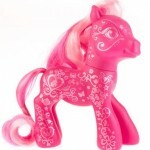 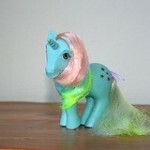 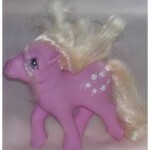 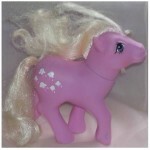 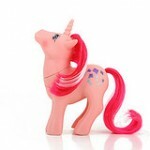 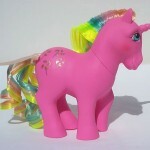 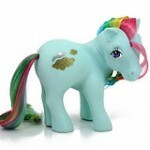 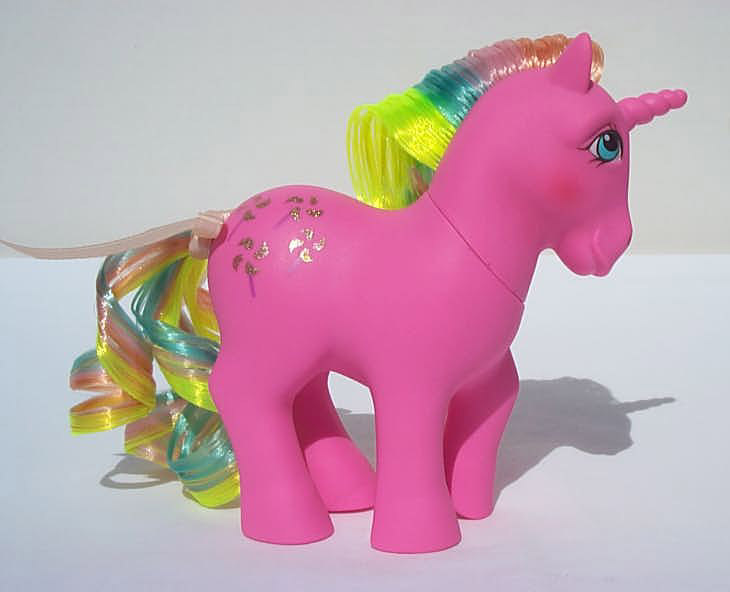 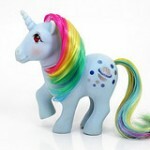 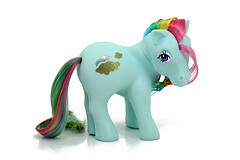 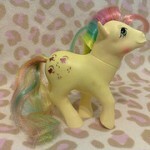 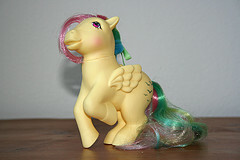 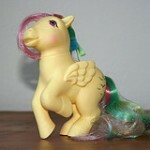 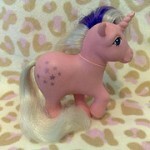 *Another version of Flutterbye was sold outside the U.S. with a painted (non-glittery) symbol. 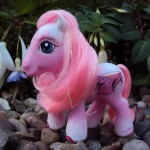 *A known, slightly different version of Heart Throb was made in Italy, with notable changes to her hair and symbol. 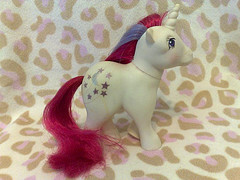 *There is also a foreign version of Tootsie who had a white body. 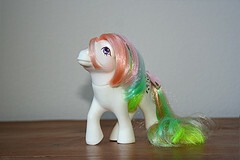 *Variations of Lickety-Split with white hair have also been sighted, which may of may not be due to fading. 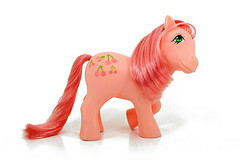 symbol: a groups of and light red w/green cherries. 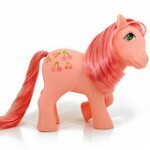 *Not sold only in the U.S., there was a Baby Cherries Jubilee. 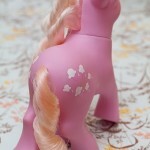 *Variations on the color of Posey’s symbol have been sighted: dark pink, light pink, and white. 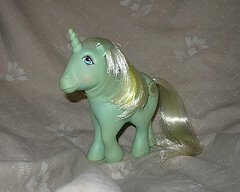 She has also been seen with white hair. 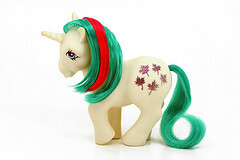 It is unknown whether her hair is just faded or if white is the actual color (same with white flowers). 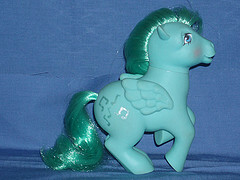 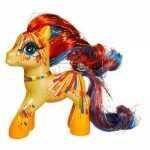 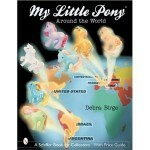 *Another version of Skydancer, who was not sold in the U.S., is an Earth pony. 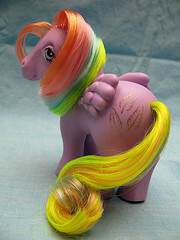 The rainbow colors in her hair are notably different. 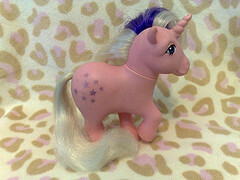 *There is also a white version of Windy who’s symbol is a silver wind; another version has purple wind. 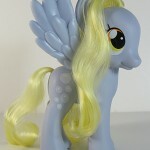 It also is rumored that there is also a blue version of Windy from France. 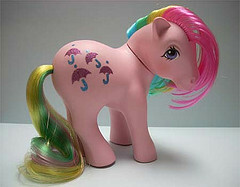 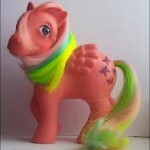 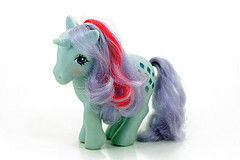 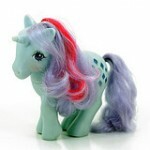 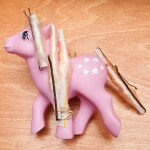 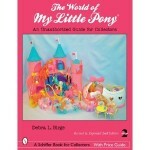 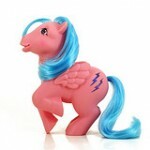 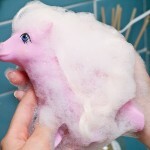 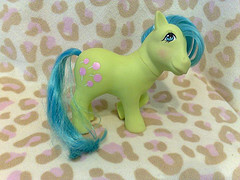 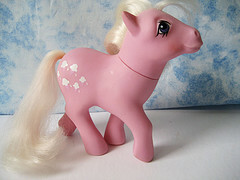 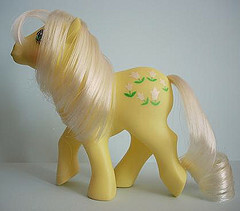 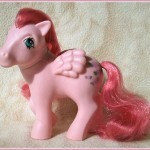 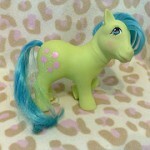 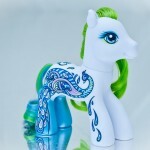 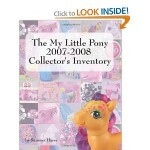 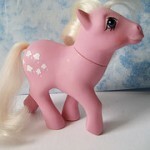 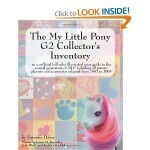 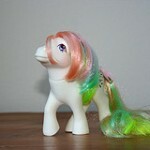 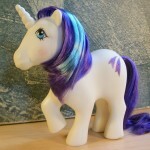 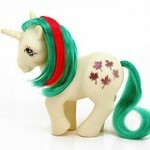 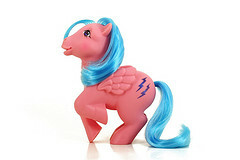 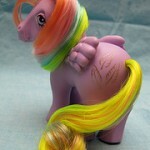 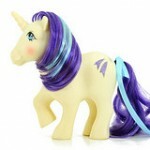 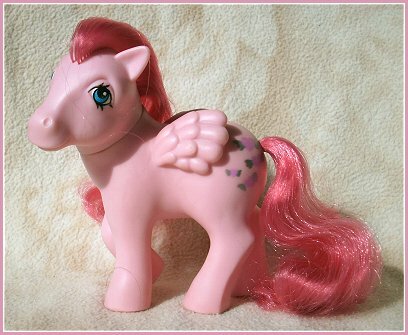 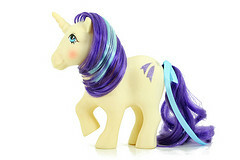 *She went on to be the star of the first My Little Pony TV special, which was finally re-released on video in Year 9. 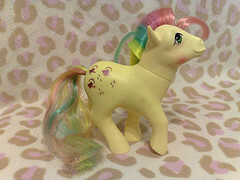 Firefly is probably the most famous pony of all.